There's more than one way to build a snowman this Christmas! 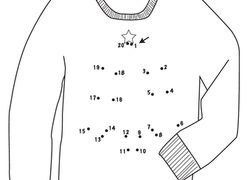 Help your child review numbers and complete this dot-to-dot. Santa's sleigh is filled with toys and candy canes! Can your child count how many are there? Practice simple addition in the spirit of Christmas. Looking for a creative way to get your child to practice counting or learning her numbers over Christmas break? Try a numbered dot-to-dot coloring page! 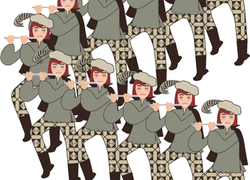 This fun printable shows the 11th day of Christmas in this classic song. Help your child practice counting from one to 22 with this Christmas worksheet. Kids will practice counting as they sketch the outline of a Christmas present. Your child will practice counting and connect the dots to create his own coloring page, perfect for Christmas! 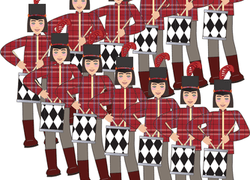 Twelve drummers drumming! 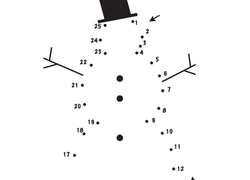 Your child can practice reading and counting while getting into the holiday spirit with this fun worksheet.